He’s crooned with Westlife, Ronan Keating, Marti Pellow and international tenor Ronan Tynan. He’s a multi-platinum selling recording artist, with two number ones and Five top 5 hits in the Irish charts. 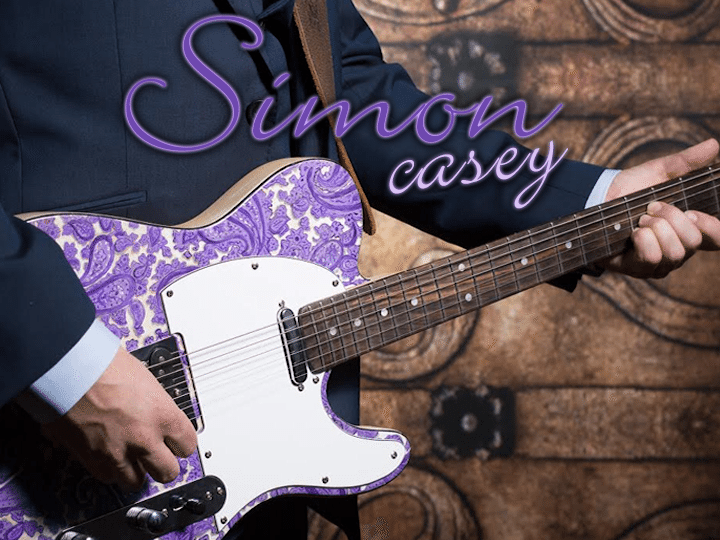 Now Simon Casey is adding wedding entertainment to his string of achievements. His smooth, sincere voice will accompany you at every stage of your wedding day, from the ceremony till the early hours of the morning at your reception. Simon puts lots of preparation into his wedding sets, to make sure he’ll deliver your favourite tunes with panache. His sound can’t be pigeonholed, and has been desribed as one of the most versatile singers in the country. He will sing tunes in a way that you’ll instantly recognise, but he makes sure to add his own flavour. He’ll sing whatever song you want, in whatever style you want. Simon has a secret weapon, a beautiful tenor voice. With its sincerity and emotional intensity, Simon’s voice will provide the perfect backdrop to your ceremony and add to the specialness of the occasion. At the reception, Simon will be joined by a live band for a genre busting set which covers swing, jives, waltzes, classics from the 60s, 70s and 80s and today’s biggest chart-toppers. Simon and his band create a high-octane party atmosphere that will keep guests bopping for hours. It’s a set of two halves, with vintage numbers at the start and more modern numbers in the second half. It’s no boast to say that the dancefloors at the receptions where Simon plays are full from start to finish. * This is a FREE service, there are absolutely no fees, commissions, hidden charges or otherwise, and Simon Casey will respond directly to you. We respect your privacy, you are not signing up for a newsletter or spam, and your enquiry goes only to Simon Casey. Simon Casey Music shared a post. I’m always asked for ideas for the all important First Dance so I’ve complied a list of songs on my Spotify for you all to #share and hit #Follow ✅ Some lovely ideas that we’ve performed in the last few months. Let me hear your ideas too and I’ll add them. We had a few favourites. Come What May, Beautiful in White, This I promise you (Shane Filan). Beautifully sung Simon. It is a fabulous song lyrics are just beautiful. Just love that song Simon, listening down under, love from all here ! Lovely sound lads. Good to see you Gavin!